I've visited a number of ranges around the country but when it came to local places, I think I've been remiss. So last week a friend and I went to an out-of-the-way place to see what was what. As a former range employee, I was intent on giving an unbiased, yet thorough review of Wild West Traders, a gun store and shooting range, and using my knowledge of the ins and outs of the business to sniff out any signs of impending doom. We arrived on a thursday evening, hoping to take advantage of their weekly "Ladies Night". The deal gives ladies free range time with the purchase of ammo and targets. My partner in crime was immediately disappointed to find that they do not allow the firing of the Five-Seven round. We decided to stick to hand guns and had brought 9mm, .380 and .45 guns and rounds. We were hoping to purchase more 9mm rounds but were informed that the store was completely out. I can't blame WWT for this though, as this ammo shortage is still a nation wide epidemic. Unable to buy ammo, I wondered if the "Ladies Night" discount would still apply. The gun store portion of Wild West Traders, was well stocked and easy to navigate. I cant blame them for the lack of inventory or inflated prices on AR style guns, as these are currently typical across the board. Signage was impressively clear, even for a tiny shop. I saw a large selection of gear for serious shooters, re-loaders and competitors, with a decent sprinkling of items for the rest of us. This included, pink earmuffs, zombie pistol cases and tactical bacon. With a few targets and all the gear we had brought, we headed into the range. I am not accustom to a ladies night that doesn't include, at least, a half hour wait, so when I saw more than half of their ten lanes available, I decided that the half hour drive outside Atlanta, was worth it. Of the lanes occupied, most were filled with male/female coupes shooting together. No one in the other lanes seemed too green or uncomfortable. That being said, I would not call the place, particularly female friendly. They could do more to attract us ladies, but nothing at WWT made me feel ill at ease or belittled. The lanes were brightly lit and clean, with no-fuss target hangers that seemed well maintained. The noise was very tolerable, because of both, the lack of shooters and the fact that the range allows only pistols. Shooters around us were courteous about sweeping up there brass and handling their firearms safely. 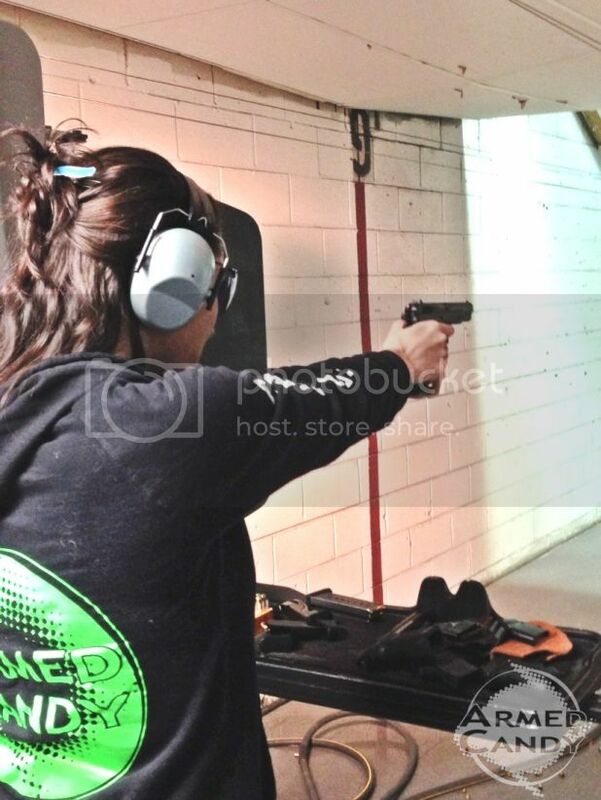 I am accustom to a very social shooting experience. Often, conversations and friendships begin just behind the firing line and I have received a lot of great advice and experience with different weapon systems from these interactions. At WWT, this was nonexistent, though this may have been due to the quiet state of the range that night. The staff was polite and casual, even when laying down the law. Once, a sales man rushed into the lanes to reprimand a shooter for a quick rate of fire. While I doubt there was ever any real safety concern, it was clear that the staff took the rules seriously and that they were always watching the lanes closely. 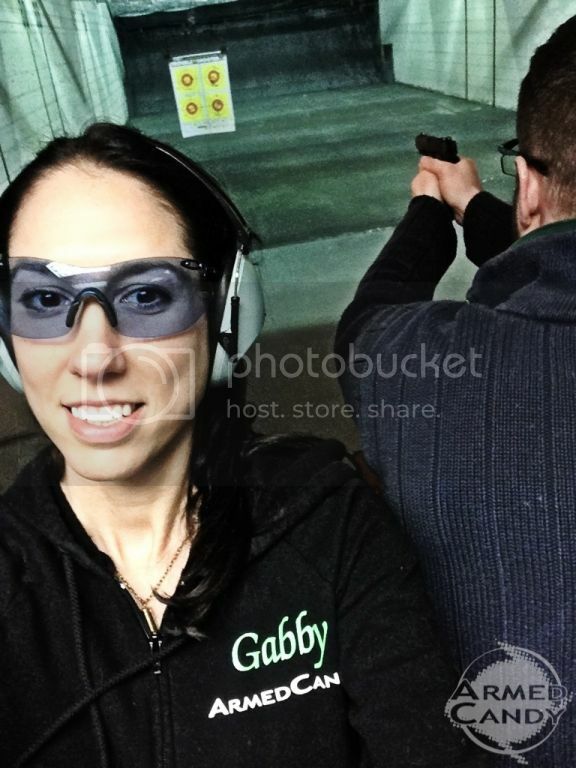 Upon exiting the range we were charged for just one shooter, as I had hoped, because it was ladies night and I would have bought ammo, had I been able. This was a very nice concession made by the staff at Wild West Traders. It's a decent place. I bought one pistol there at a competitive price for a hard to find item. Range is okay, but try Georgia Firing Line on Canton Road for a better overall experience, and they have at least 2 females working the counter. yay for females working the counter!